I am now 12 years old and live with my father and my mother and my eight young brothers and sisters in a small village in the Oloirobi ward in the Ngorongoro region of northern Tanzania. My father never wanted me to go to school because he wanted to hand me over in marriage. But luckily one day the head teacher from the local school came to my home and found me playing with other children outside. He asked each of us our names and if we were registered to start Standard One form. When he reached my side I explained that I did not register for school because my father wanted me to get married instead of giving me an education so he could get the dowry. The next day the head teacher came back with a list of students who were meant to start Standard One. My name was on the list and I was very happy. My head teacher became my saviour because he helped me to get to school. 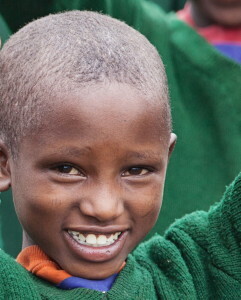 Traditionally, the Maasai see no value in educating girls. They don’t believe that there is any point in spending money on educating a girl when she will leave to marry soon after her 12th or 13th birthday. Families are keen to marry off their daughters at an early age so they can collect the dowry from the family of the groom. Also, on a day-to-day basis, girls have a much greater burden of household tasks than boys – as well as the responsibility of looking after younger brothers and sisters. Because of this great workload, young girls are often not allowed to attend school. If it was not for the support of my head teacher, I could have been forced to marry off by now. But I was saved and became the first person in my family to go to school. 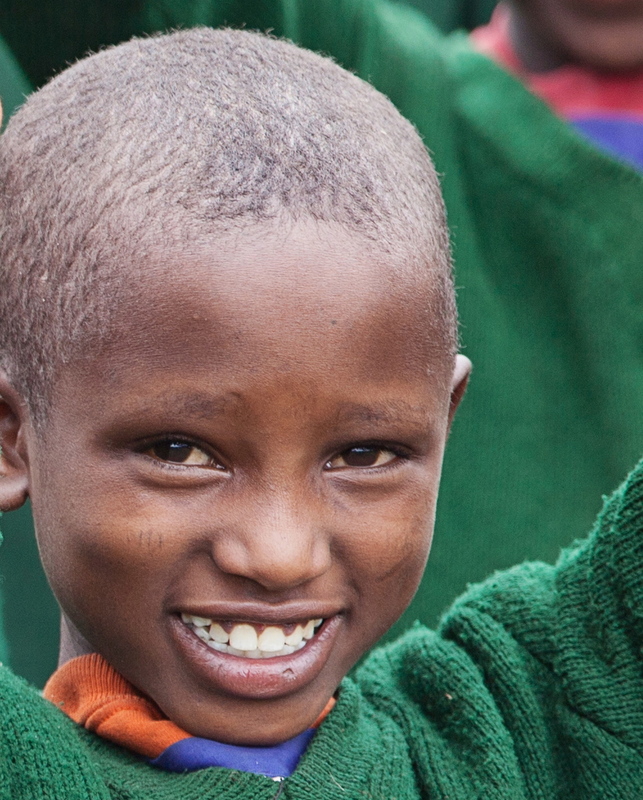 I’m now a Standard Five pupil at Misigiyo primary school and my typical school day is as follows: I get up at 6am, prepare myself, then drink milk for breakfast before my journey to school – I walk about eight kilometers from my home to school. I like being at school as it is my saviour. My favourite subjects are mathematics, English and Kiswahili – Kiswahili is our national language but I speak Maasai at home. After school I walk another eight kilometers to my home. Then I help my mother to collect firewood, to do the washing and sometimes to fetch water, milk the cows and to prepare dinner for my family. Neither of my parents went to school so if I have homework no one can give me any assistance and I have to do it on my own. African Initiatives’ new Equal Rights to Education project will help my brothers and sisters have an equal chance to go to school – and get a quality education. I would like to ask for the help of the people of Britain to support African Initiatives’ education projects as they help to create awareness in our communities about the importance of a girl’s right to an education. They lead to a change in community attitudes from negative to positive and mean more girls will be sent to school and development will be brought to the Maasai community. There are already a few Maasai ladies who are educated and are now role models within their villages. I want to become one of these women so I can change my community for the better. Therefore, I will work hard in my studies as I wish to go to secondary school and study up to university level. I want to study hard so that I will become a lawyer in order to help my community to get back our ancestral land, which was taken away from us, and also to educate my people to understand the importance of a girl’s right to an education. If you would like to help more girls like Beby access an education, you can make a donation here.